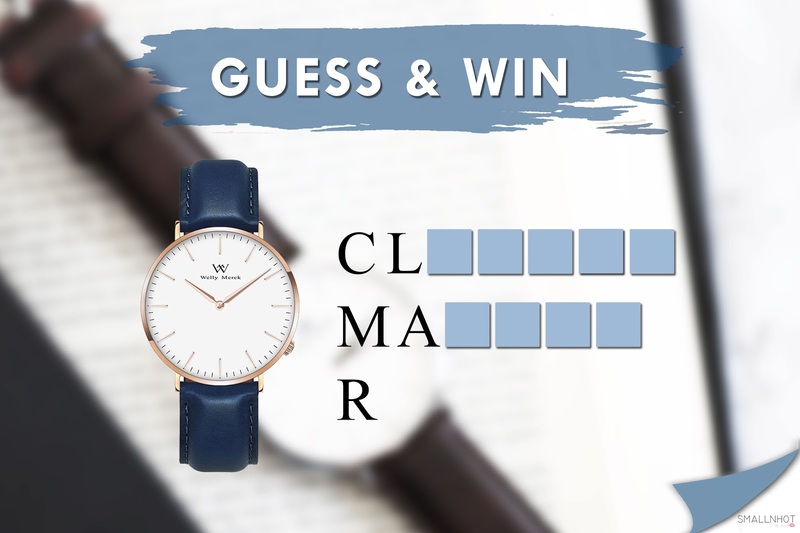 Welly Merck Guess & Win A Watch ! Click HERE and GUESS The Welly Merck Watch In The Photo, as simple as that. ONE Lucky Winner will walk away with a Welly Merck watch of their choice. 1. Giveaway starts from 19 June 2017 - 29 June 2017 (11:59pm). 2. This giveaway it open to all international readers. 3. ONE  lucky winner will walk away with a Welly Merck watch of their choice. 4. Winner will be notified via Facebook Personal Message (PM) and has to reply it within 24 hours, else prize will be revoked and new winner will be chosen. 5. Prize will be sent to winner. 8. Welly Merck & Small N Hot reserve the right to substitute prize of equal or greater value at any time.